The plot was hatched by a Persian General Hormuzan, and executed by others like Kaab al-Ahabr, Jafinah and of course the stabber Pirouz Nahvandi. 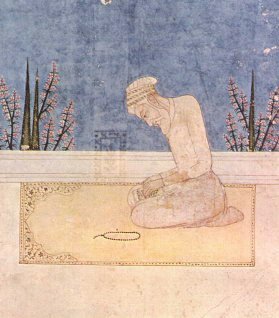 On pilgrimage itself, Hazrat Umar was isolated and stabbed to death. It was not just one man who died that day, it was Islam perhaps which was put on hold for a thousand years. There was a utopia created by him. That utopia was resented by all whose own future was put at stake by the following of the Islamic system. The dictation of Caliph Umar was from the Quran itself. “Speaking at the occasion Maulana Ilmuddin Salik said that Aurangzeb was vilified by Hindu historians for no other reason except that he was a true Muslim. British’s portrayed him as a whimsical tyrant ruling ruthlessly over a vanquished host of Hindu population to add fuel to the fire of Hindu-Muslim differences. This was, in perfect harmony with the policy of divide and rule. What was Hazrat Umar’s Utopia like? A judgement can be made from the fact that in the period between 634 and 644, there was no need for a justice department , nor a police force. The Qazi had asked to be relinquished of his duty. Crime had totally stopped in that society. Nobody was doing harm to anybody else. A real utopia was being seen by the world. The history of mankind has been a history of ups and downs. Sometimes civilization reached a height, at other times it fell into degradation. Did man ever achieve any utopia? Was there a time when perfect equilibrium was achieved? Yes, the time between 634-644. Without any definite resources and with a heart filled with compassion for the deprived people, he made human history by doing the impossible, creating the prefect social equilibrium. A system in which man concentrates only on his own self is self defeating but in a system where he takes care of the others as the policy of his own self is to reach the height of idealization. The Prophet had himself said that wish for others, what you wish for yourself. That Caliph Umar had achieved in his life time by setting examples of sacrifice and fore-sight. We started some related discussion, but moved to other topics. I would like to elaborate more about conspiracies and What to do . You may believe that Aurangzeb was a good ruler, but do you know the name of the Mughal emperor who followed him? Neither do I. Why did that happen? Because Aurangzeb made the Mughal empire so weak that it fell apart. It is just a myth that it fell apart. 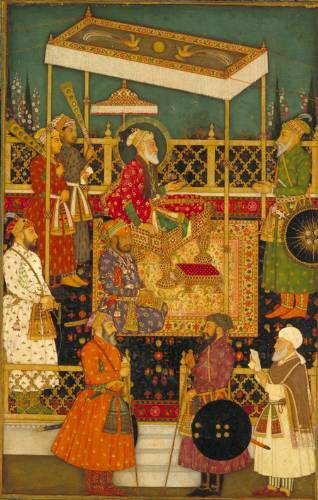 Shah Alam was the successor to Aurangzeb, the picture of him you find in the present blog. Divide and rule brought things down, and that is exactly what is happening today. The British themselves did not last in Punjab for more than 100 years, 1849-1947. Less than 100 years, WAS THEIR LEGACY DIFFERENT? The present rulers will not even last a hundred years. Change is inevitable when you cross Allah’s principles. These are British and Hindu narratives of text books to defuse our faith in ourselves. Remember Shahalmi Gate of Lahore, that was from the son of Aurangzeb. And he was murdered in Lahore in a Dutch camp!